Adjective. 1: neat and tidy. 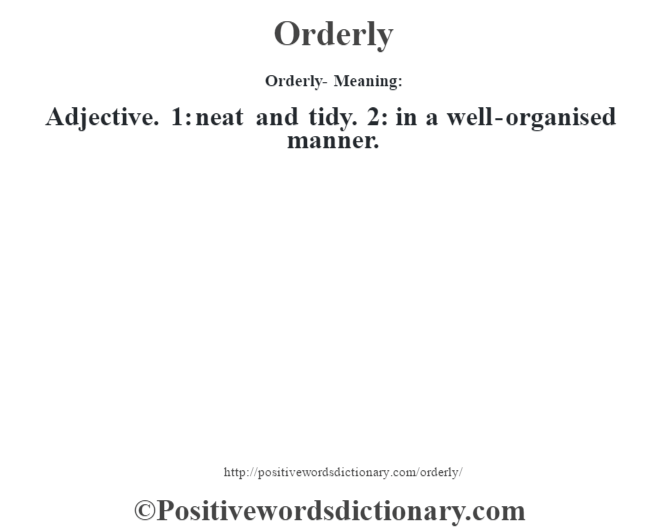 2: in a well-organised manner.